Taiwanese lesbian pioneer filmmaker Zero Chou is specialized in portraying LGBTQ+ and female romance and sexuality. Her films are stylish and bold and started a whole new image of Taiwanese cinema. Her first narrative feature “Splendid Float” won three Golden Horse Awards, including Best Taiwanese Film of the Year. Her second narrative feature “Spider Lilies” won a Teddy Award for Best Feature Film at Berlin International Film Festival. She has reached to the whole Chinese territory with her “Over the Rainbow” project. 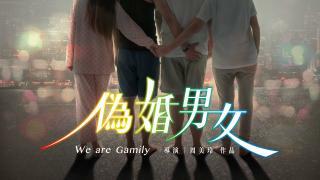 “We are Gamily" and “The Substitute” from the project are both widely popular.